Welcome to Villa 28 located at one of the preferred spots at Villas on the Prince, this coveted end-unit with southwest exposure sits on the Prince Golf Course with great Hihimanu mountain views.The fully-furnished three bedroom (two of which are ensuite) and three bath townhome is currently a prosperous vacation rental. Some of the features include an open floor plan with cathedral ceilings, recessed lighting, built-in Maple cabinets in the Dining Area and Master Suites, Bay Window, custom Plantation Shutters throughout, slab counters throughout, high-end tile flooring, front loading W/D, two-story atrium entrance, lanais up and down and an attached garage.Villa #28 is awash in light and air. The end-unit location adds an extra wall of windows and is one the most private locations within the complex. The split-level layout creates a spacious open floorplan on the upper level with an atrium office and two private suites below. 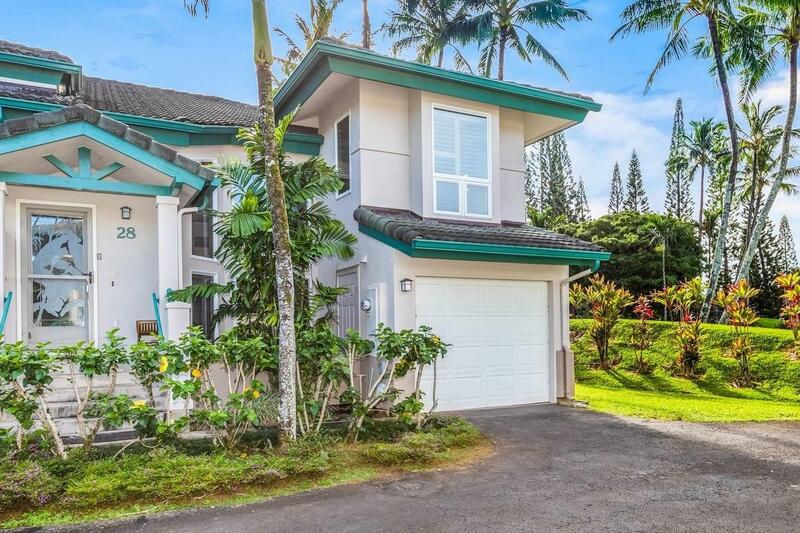 This is one of a very few three bedroom townhomes available on the North Shore for less than $800K and one of the best price per square foot values for all of Princeville's condos and residences. 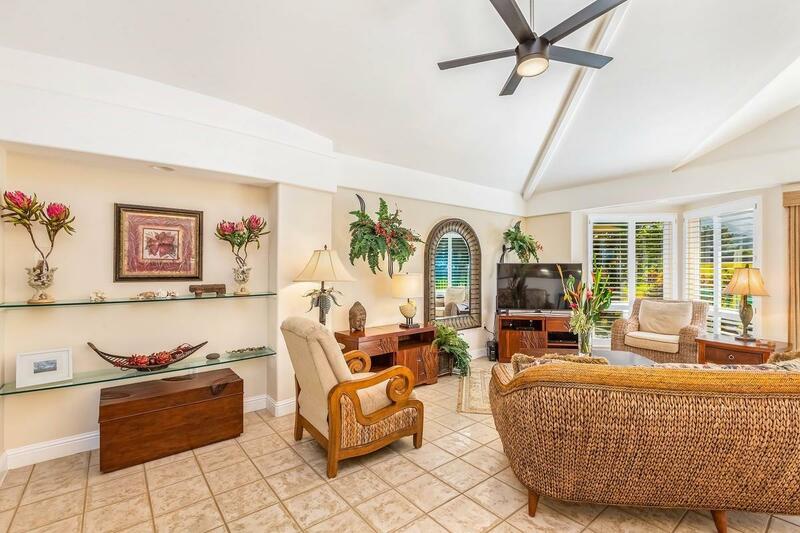 Currently the only Prince Villa available for sale.Villas on the Prince is a gated boutique enclave with only forty-one units encircling a heated pool thats conveniently located just off the fountain entrance to Princeville and within walking distance to many of the local amenities. 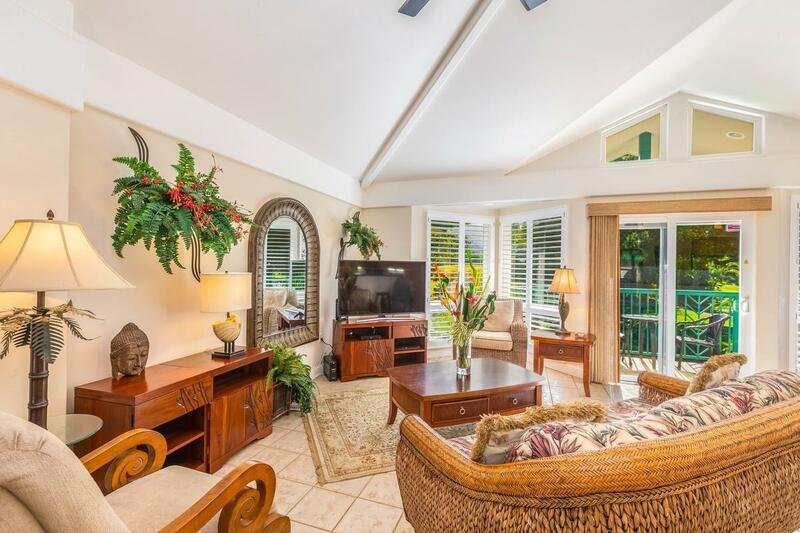 Villas #28 is a substantial residence and eminently livable that's perfectly suitable as a full or part-time residence or vacation rental. 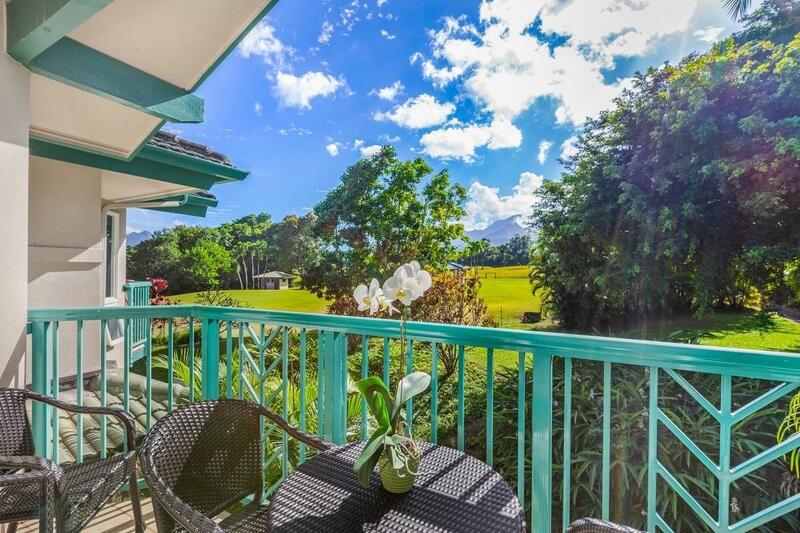 If you're searching for a bright, spacious contemporary retreat in a private, lush setting then Villa 28 could be for you. You're very welcome to come see for yourself.